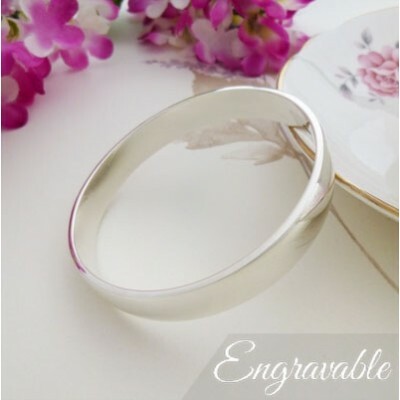 If you are looking for a heavy weight quality solid silver ladies bangle that has been hand crafted by a leading silver smith, the Ava is the bangle for you! We at Guilty Bangles adore this outstanding bangle that measures an impressive 10mm wide and 3mm deep with a rounded outer surface and flat inside creating a D shape. A stunning heavy weight solid bangle in sterling silver for ladies that demand quality and one bangle that will never go out of fashion. If you can afford the extra pounds then you will not be disappointed with the Ava! The Ava is D shaped section that is 10mm wide and 3mm deep. The Ava has an internal width of 63mm and would suit a standard medium sized ladies wrist. 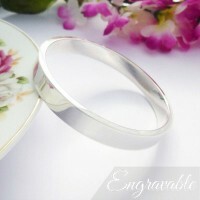 The approximate weight of this bangle is 60g. 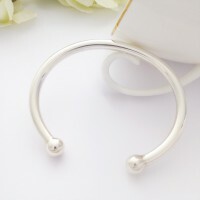 A stunning solid silver bangle with all of the weight and quality that you will need!